David S. Kirn, M.D. is certified by the American Board of Plastic Surgery, is a member of the American Society of Plastic Surgeons and is a member of the prestigious American Society for Aesthetic Plastic Surgery. He is a Fellow of the American College of Surgeons. He is published on a variety of topics in plastic surgery and holds a community faculty appointment as assistant professor of Plastic Surgery at the University of Kentucky. He is the Managing Medical Director of the SCA Lexington Surgery Center. Dr. Kirn received his undergraduate degree with high distinction and departmental honors in physics from the University of Kentucky. He remained at UK for medical school where he graduated doctor of medicine with distinction. He then completed a six year integrated residency in Plastic and Reconstructive Surgery, also at UK, filling one of only six such positions in the United States at the time of his entrance into the residency. Dr. Kirn maintains an active interest in medical equipment design and holds multiple United States and international patents for innovative medical products. He has served as president of the Kentucky Society of Plastic Surgeons and on numerous medical governing councils. He has been featured as one of America's Top Plastic Surgeons annually since 2010. Dr. Kirn has focused on cosmetic surgery since the start of his private practice in 1998. He has worked to combine scientific innovation and gradual technique refinement of each procedure to maximize results and minimize recovery time and discomfort wherever possible. 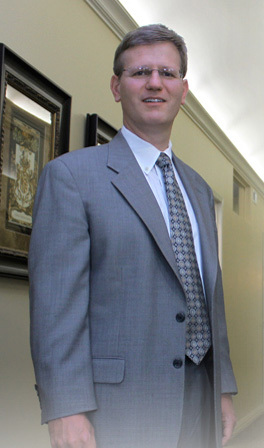 Dr. Kirn is a native Kentuckian and resides in Lexington with his wife, Vicki. His Lexington office includes a full service skin care center.